Borderlinx | Buy Jack Wills and ship worldwide with Borderlinx. Cheap rates guaranteed. Founded in 1999 in England, Jack Wills USA is a British clothing brand for the university crowd. Jack Wills USA takes pride in using only the finest quality materials for its creations. While maintaining their British heritage, Jack Wills USA mixes old and new in their designs, offering a preppy, sports-oriented look. From Oxford and Cambridge to Harvard and Yale, Jack Wills USA is winning the hearts of university students around the globe. Jack Wills USA believes that university is the time of a person's life, and thus it is important to dress the part! With Jack Wills USA you can feel fabulously British thanks to their quality collections for young Ladies and Gentlemen. Whether you're prepping for the track team, looking for the right shirt for a presentation or dressing up for the end of the year ball, Jack Wills USA has the look you're going for, for under $100! Shop Jack Wills USA Ladies for everything from outerwear to footwear to dresses, hoodies and jeans. On top of apparel, Jack Wills USA Accessories offers ranges of bags, wallets, jewelry and beauty products. Check out Jack Wills USA Home for bedding, kitchenware, stationery and more. 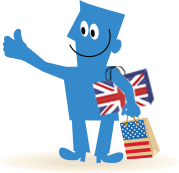 With Borderlinx you can shop Jack Wills USA and ship to your home country, paying cheap international shipping, tax &amp; duties upfront. You can calculate your shipping, tax &amp; duties upfront using our shipping cost calculator. A number of services are available through Borderlinx to make international ordering from Jack Wills USA hassle-free, including concierge, free repacking and consolidation.